Looking for an exceptional industrial unit in a great location? 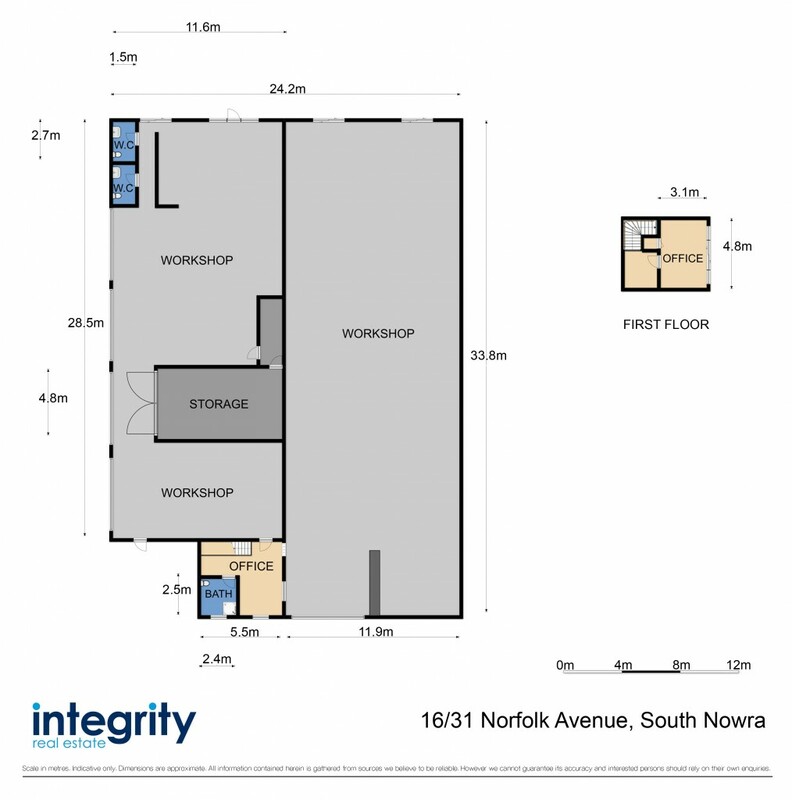 Look no further than 16/31 Norfolk Avenue, South Nowra. Offering an 800sqm concrete constructed unit with the benefits of disabled access through the front entrance doors, kitchenette, toilet and shower amenities and 8+ car spaces. The 4 x high clearance roller doors allow for easy access on the left hand side of the building with an awning for potential deliveries and also a high roller door at the rear. Situated in a sought after industrial location amongst other well maintained units, this opportunity is not to be missed.